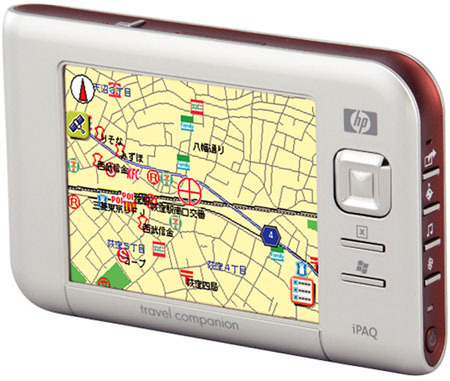 HP has released its anticipate iPaq revision that sees the one-time enterprise-friendly PDA recast as a line of three consumer-oriented media players and GPS satellite navigation systems. 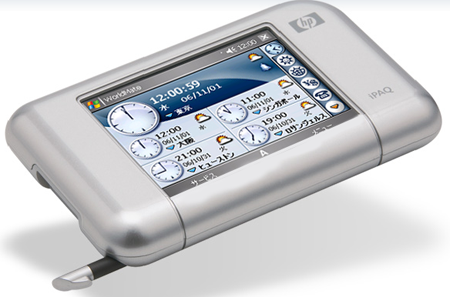 The iPaq rx4240 and rx 4540 are both styled Mobile Media Companion products and sport a 2.8in, 320 x 240, 65,536-colour display. Both run Windows Moble 5.0 on top of a 400MHz Samsung processor. Both have 128MB of Flash ROM and 64MB of RAM, but the rx4540 adds 1GB of Flash storage for the user. Each machine has an SD/MMC slot for more. Fully wireless, the rx4240 and rx4540 contain 802.11b/g Wi-Fi and Bluetooth 2.0. They measure 10.2 x 6.4 x 1.8cm and weigh 127g. The 12.1 x 7.6 x 1.7cm, 170g iPaq rx5956 Travel Companion offers the same basic spec, but fits it all behind a 3.5in display and crams in 2GB of Flash storage, along with a SiRFStar III GPS chip and antenna.